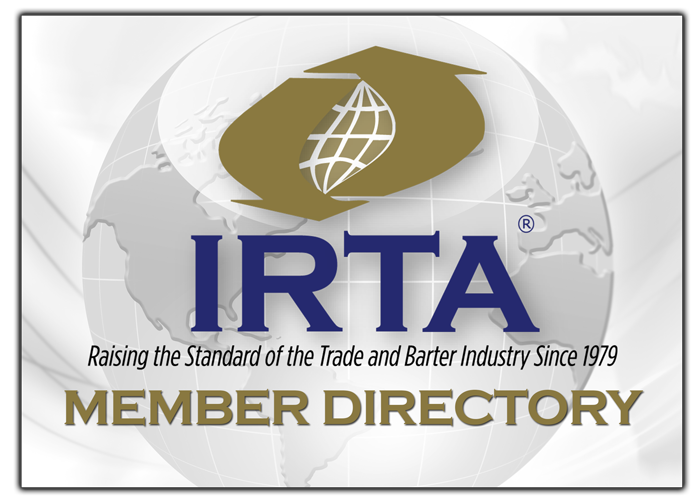 The modern trade and barter industry includes four major sectors; traditional retail barter exchange companies, (also referred to as mutual peer-to-peer credit clearing systems), corporate barter companies, (who perform larger corporate barter transactions), countertrade, (usually between sovereign governments and focused on import & export of commodities) and complementary currency systems, (local/community based currencies). The total annual volume of transactions in all sectors are difficult to determine since most barter companies are privately-held and do not report their transactional volume. However, IRTA estimates the annual volume to be in the 12-14 billion dollar range, with the caveat that the amount could vary widely, based on the amount of countertrade activity that occurs annually. IRTA further estimates the activity per sector, as per the pie chart below. Countertrade is estimated at 50%, corporate barter at 30% and retail barter at 20%. Note that the complementary currency sector is considered to be so small as to not register on the chart. The key to the growth of the barter industry in the last thirty-five years results from the shift from one-on-one trading to third-party trading and the subsequent development of sophisticated internet-based software to maximize trading opportunities while also providing quality accounting and reporting functionality. Due to the global financial downturn, many governments have recognized the economic benefit of increased commerce that barter systems provide. And most governments have followed the U.S. model and accepted barter transactions as a viable alternative form of commerce and therefore consider barter transactions as a taxable event (see the U.S.’s TEFRA legislation of 1982). Lastly, the fundamental benefit that attracts businesses to a barter retail model is the principle of maximizing/utilizing ones unused capacity, be it unused time or unused inventory. Barter solutions are predicated on the goal of increasing revenues of its participants without displacing their existing cash business.